Racking your brain trying to choose between an organic or paid social media strategy? Sure, the main appeal of social media is that it offers a totally free avenue for brands to grow and connect with customers. The reality, though? Social media is becoming more and more of a pay-to-play channel. That said, you absolutely need an effective organic social strategy if you even want to succeed with ads. For the sake of maximizing your reach while keeping your budget in check, a hybrid paid and organic social media strategy provides brands the best of both worlds. In this post, we’ll highlight the strengths of organic and paid channels, and then show you how to combine your efforts to give you the most bang for your buck. In fact, brands can still promote themselves and their products organically. The key is to not hit your followers over the head with sales pitches post after post. For starters, your organic presence goes hand in hand with brand awareness. Brands like Headspace are a shining example of an effective organic content strategy. Regularly sharing tips and inspiration for their audience, they constantly find ways to promote their service without being in-your-face about it at all. This type of content is less likely to get knocked by Facebook’s marketing-sensitive algorithm, too. 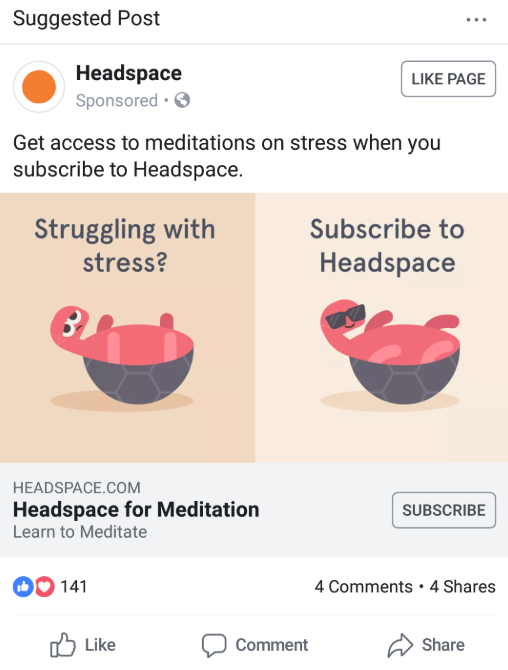 Meanwhile, Headspace’s paid social media strategy meshes with their organic one by staying on-brand. See how that works? The organic post serves as sharable inspirational content without pushing a strong sales pitch, compared to the stronger call to action in the paid post. With over half of consumers already reaching out to brands on social, managing customers and communities is a key part of your organic presence. Offering an instant, free channel for people to get in touch will always be in-demand even as paid social media grows. 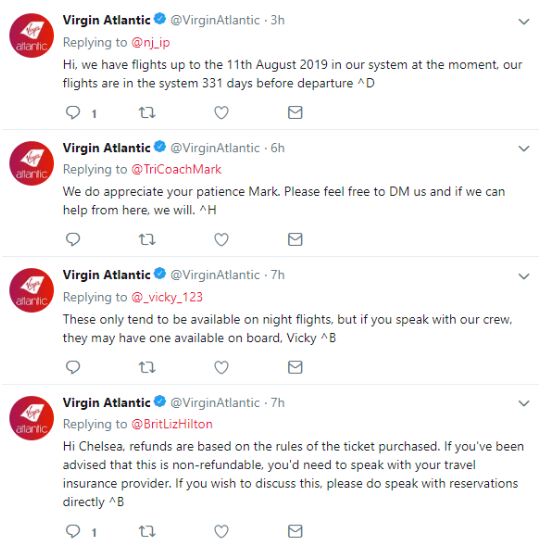 Questions and concerns aren’t your only opportunity to connect with your customers. For example, social media is the perfect place to pick your followers’ brands for future content ideas. Also, it’s a prime place for curating user-generated content like customer photos to sell yourself without being, well, salesy. With so much to do organically, why are paid campaigns such a high priority right now? The short answer? Running social ads allows you to go beyond the confines of an algorithm in order to reach your target audience. 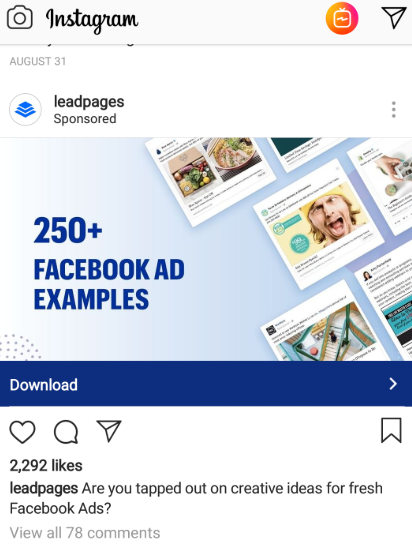 Rather than get buried beneath competing content, ads put your stuff front and center in peoples’ feeds. Although goals and KPIs might differ from business to business, below are three instances where a paid social media strategy is ideal. 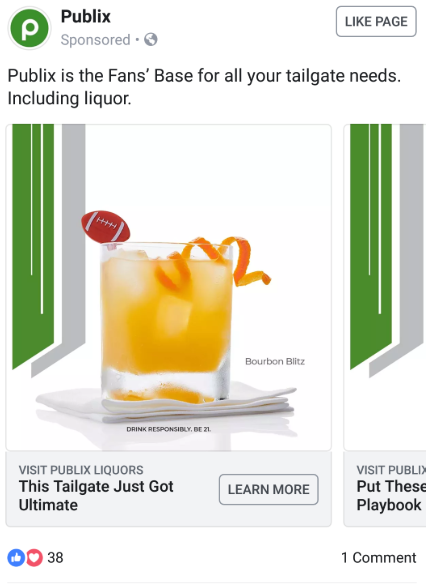 This Publix ad from Facebook is a good example. Given that their stores are only located in the Southeastern United States, highly targeted ads based on geography make sense. Furthermore, this particular ad is obviously only for those 21+ and includes store-specific promotions in its CTA. Again, paid ads serve as yet another avenue for brands to make an impression on their target audiences. For the sake of making yourself visible or highlighting a fresh deal, ads make those offers can’t-miss. Now that we understand how paid and organic social media work on their own, how can they be used in tandem? Good question! Below are five key ways you can mesh your paid and organic efforts. If you have a particular piece of content that converts well or enters into viral territory, it might be perfect material for an ad. For example, you can quickly boost a Facebook post to quickly convert your content into a promotion in a matter of clicks. Looking at the analytics of your social content in general is also a smart move before running any sort of ad. Variables such as imagery, calls-to-action and copy all deserve your attention when it comes time to whip up a paid post. Metrics such as clicks and followers earned are both good starting points to spot top content. Timing matters when it comes to your organic posts and paid content alike. 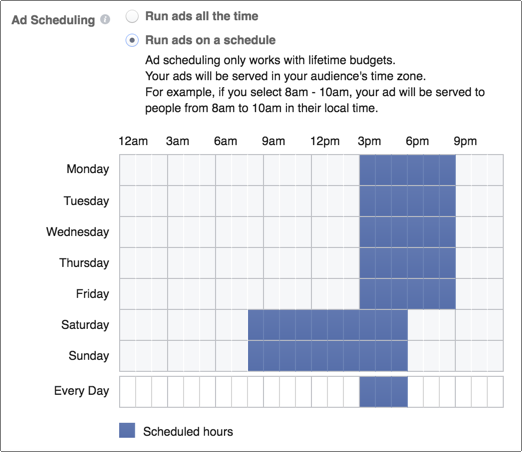 As such, you can use the best times to post on social media to inform when you should run your ad campaigns in addition to your own data. 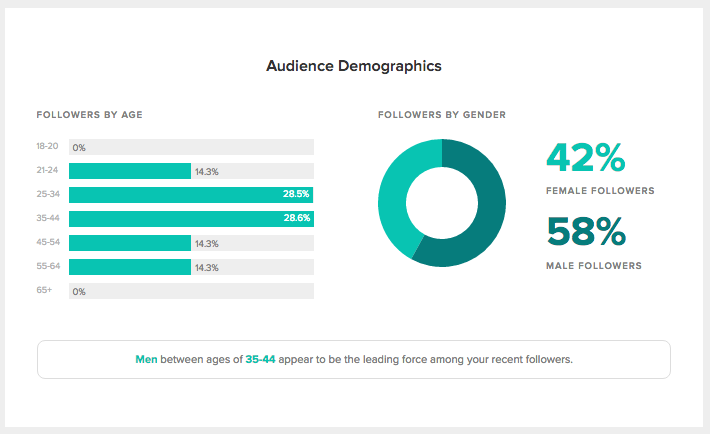 Much like Sprout can tap into your audience demographics to teach you about your followers, so can any native social platform. 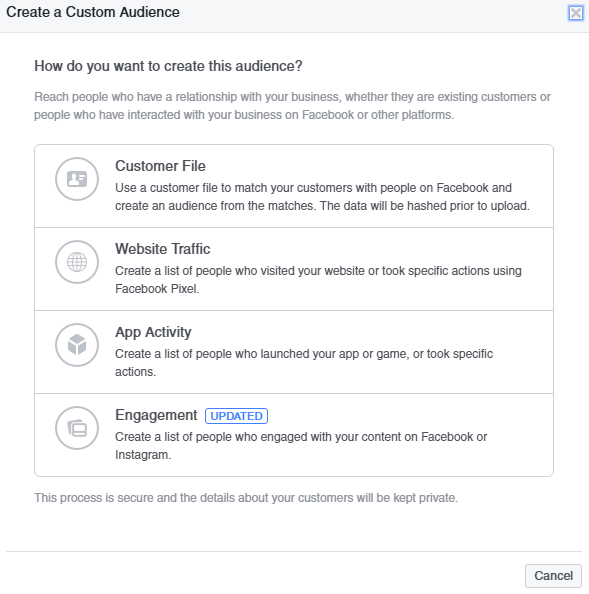 The combination of Facebook or Instagram Insights with a third-party tool like Sprout can give you the most comprehensive view of your audience prior to a paid social media campaign. In other words, the interactions you have with followers can eventually lead to conversions down the line. Much like paid and organic social media doesn’t have to be a matter of either-or, neither do promotional posts. While you should try to limit organic promo posts, they’re totally fair game on your feed from time to time. This post from Shopify is a good example of an organic post that could very easily be a paid ad but doesn’t feel spammy. From social media selling to inventory management, the new Shopify App Store has what you need to grow your business. No matter how you slice it, social ads can get pricey. For the sake of your ROI, it’s to your benefit to have a constant pulse on your social data both before, during and after your paid campaigns. That’s exactly why Sprout’s custom reporting is so valuable from brands. Everything from demographics and timing to top-performing content is at your fingertips across all social sites. 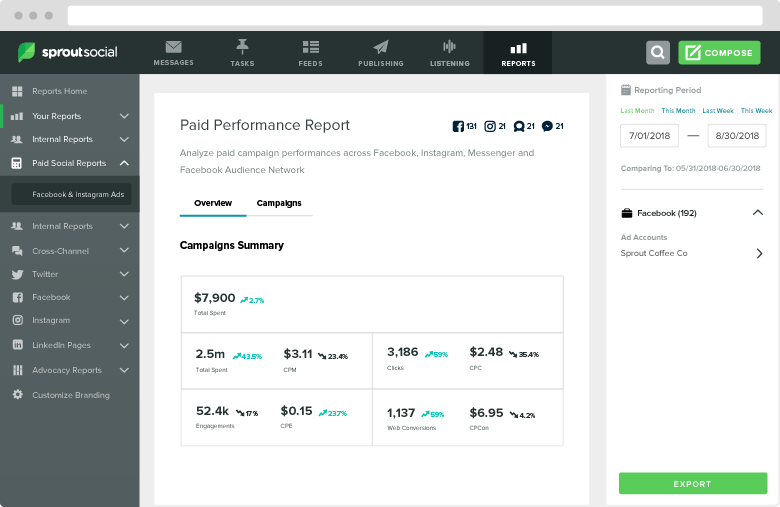 To help brands support their paid campaigns, Sprout is introducing new visualized data for ad campaigns across Facebook, Facebook Messenger and Instagram. Tracking key KPIs such as engagement, impressions, clicks and conversions, brands have a bird’s eye view of the campaign performance all in one place. Remember: your paid strategy should work in harmony with your brand-forward organic strategy on social. Sprout is building paid functionality into our platform in a way that prioritizes the audience experience. And with that, we wrap up this guide! How are you integrating organic and paid social media? Rather than view having a paid and organic social media strategy as a game of “either-or,” consider how you can benefit from both. Between learning about your audience to raising awareness, organic content isn’t going anywhere. 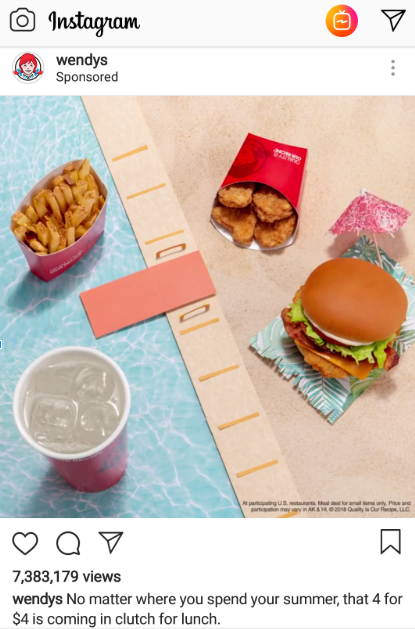 As more brands continue to roll out paid campaigns, having your organic strategy locked down will keep you ahead of the curve at the end of the day. We still want to hear from you, though! How do you feel about your paid social media strategy? Have you noticed a dip in your organic reach lately? Let us know in the comments below.